On January 3, BTS leader RM greeted fans via a Naver's 'V' Live broadcast titled 'RM's Hello 2018!'. When asked about his experience collaborating with Fall Out Boy in "Champion", RM commented, "I had the opportunity to feature in Fall Out Boy's new track and they specifically chose me (for a collab). I felt truly honored by that." During the live stream, RM also brought up j-hope's new mixtape. "I listened to some of j-hope's tracks from his new mixtape and I was shocked," and clapped for his fellow member. He then recalled j-hope's earlier days, how he was dressed in vintage style when he first met him. RM also described, "I saw j-hope dancing in the studio to 'Like A G-6' and I was blown away by his incredible dancing skills...Also when j-hope first rapped." 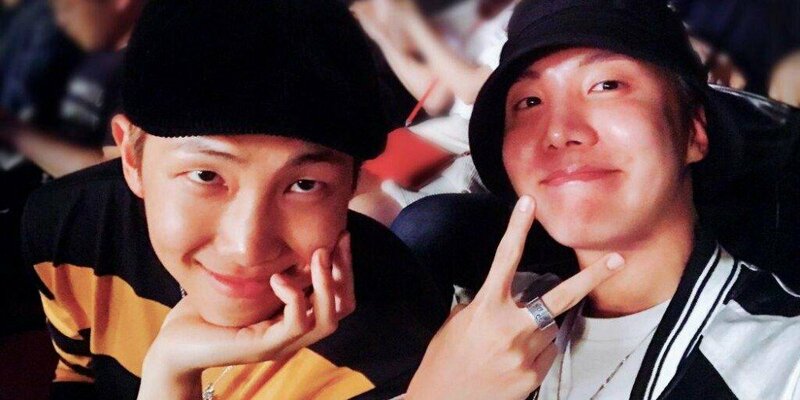 RM added, "It seems j-hope has finally discovered his true colors...that's what he was worried about the most in the past," leading ARMYs to look forward to j-hope's dynamic music.